Anne Osward, 30, is a proud mother of three. 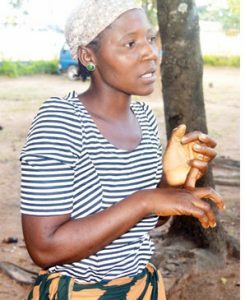 She still remembers the struggles she faced whenever she wanted to access health services during her pregnancy. Memories are still fresh of the time she went to hospital only to find there was no medical person to attend to her. 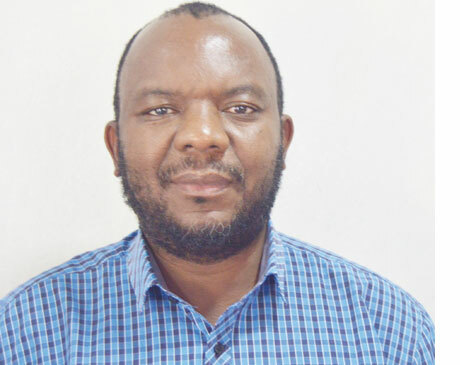 “As if that was not enough, there were no drugs, hence I returned home without even the basic essential drugs,” says Osward, who hails from Gome Village, Traditional Authority (T/A) Dambe in Mchinji District. What pains her most is that the Member of Parliament (MP) for her area had been promising to improve the health sector in the area during the previous two elections which he won. He did not fulfil the promises. Many constituents, like Osward, continue walking more than 15 kilometres to access health services. It is from this background that she smiled when the Civil Society Agriculture Network (Cisanet), through Mchinji Civil Society Organisations (CSO) network, with funding from Oxfam, organised a debate and an interactive meeting on governance of community resources with aspiring MPs and councilors for Mchinji North East constituency. What impressed Osward was that the candidates signed a social contract at the end of the debate. This is a contract which will ensure that the area’s MP come May 21 elections should be committed to fulfilling what they promise. T/A Dambe’s area, like many others in Malawi, is facing many social challenges in health, education and agriculture. This development forced Mchinji CSO Network and Cisanet to take advantage of the coming elections to bring aspiring MPs and councilors from Mchinji North East Constituency and citizens together so that whatever these politicians promise should be in black and white. According to Mchinji CSO Network chairperson, Richard Batch, Mchinji CSOs want to ensure that political leaders help to reduce the gap between the rich and the poor in the area. “Therefore, the starting point to achieve this is to provide a platform for aspiring leaders to debate on their promises so that we can have realistic promises which will be easily implemented, hence helping to reduce the gap between the rich and the poor,” Batch says. In Malawi, the inequality gap between the rich and the poor remains huge. In 2018, the United Nations Development Programme (UNDP) said inequality continued to rise as evidenced by the rise in the Gini coefficient from 0.339 to 0.461 between 2005 and 2017. Gini coefficient is a measure of statistical dispersion intended to represent the income or wealth distribution of a nation’s residents, and is the most commonly used measurement of inequality. A Gini coefficient of zero expresses perfect equality, where all values are the same, while a Gini coefficient of one or 100 percent expresses maximal inequality among values. In its draft Country Programme Document for Malawi, which will run from 2019 to 2023, UNDP said the share of the poorest quintile in national consumption worsened from 10.1 percent in 2005 to 5.5 percent in 2012. Malawi is classified as a least developed country, as nearly 70 percent of its 17 million people live on less than $1.90 a day, with poverty concentrated in rural areas, where 95 percent of the poor live. Despite being largely peaceful, Malawi ranks 170 out of 188 countries with a Human Development Index of 0.476, placing it well below the sub-Saharan African average of 0.523. These challenges make citizens such as Osward to always look up to their MPs and councilors for solutions. “It is from this background that we organised these debates. Citizens want solutions from political leaders. Therefore, the debates have helped people to hear promises from the candidates and also how they will fulfil these promises,” Kambwiri says. Batch says the debates, one for MPs and another for councilors, have enlightened citizens on their rights in as far as making politicians’ promises binding is concerned. “Politicians can promise anything starting from things they can indeed implement to things they cannot implement once voted into political office. Therefore, we want to encourage them to promise only things they can really implement. This will help to reduce poverty in our area in the next five years,” Batch says. He adds that the signed social contracts will help citizens to check whether political leaders will be performing according to what they promised the people. Many stakeholders in the electoral process believe that elections debates and social contracts shape the thinking of voters in as far as making right decisions is concerned. 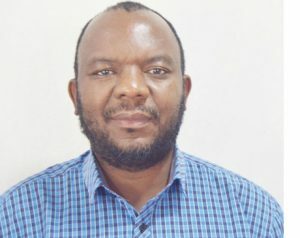 At national level, Media Institute of Southern Africa – Malawi Chapter recently organised three presidential debates in Lilongwe which involved six presidential candidates out of the eight candidates that are expected to appear on the ballot paper on May 21 this year. The candidates delivered various policy changes that varied but all touted as panacea to the woes facing the country. While differing in style, most of the major candidates shared substance, promising leadership integrity, tackling endemic corruption, good governance, better implementation of development plans and prudent financial management, among other issues. Cisanet was part of the taskforce which organised the presidential debates. Kambwiri says it was important for Cisanet to also give a similar platform to candidates at constituency level so that they can debate and share their plans for their constituency or ward. He says good governance should start from the ward and constituency level. Kambwiri says: “We are sure that the social contracts which the aspiring MPs and councilors signed during the debate in Mchinji will be a good reference point for the citizens to follow up on these political promises after May elections,” he says.